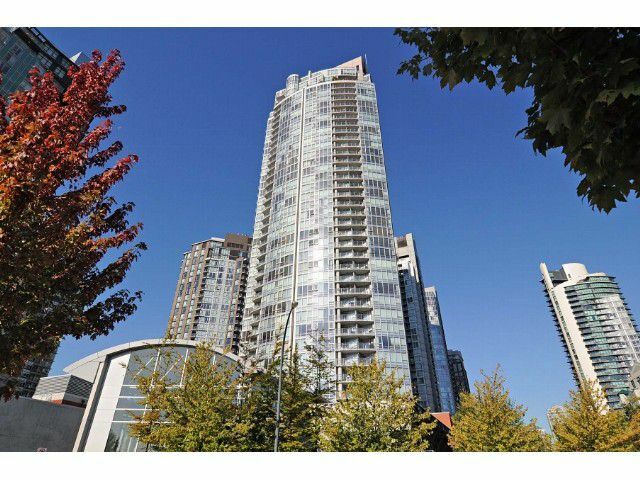 Completely renovated Yaletown S/SE facing corner suite with water views from every room. Custom designed by Julie Trant of Square Ft Interiors the suite was gutted in 2007 and rebuilt with the highest quality finishes. Large den with rift cut oak cabinetry, acid etched and back painted glass doors. Completely tiled baths w/ custom cabinetry, lighting, heated flrs. Kitchen w/ 2 water views windows, high gloss cabinetry, Miele & Subzero appliances. Large insuite storage room w/BI shelving. Must be seen to appreciate as no cost was spared to create this "5 star hotel" one of a kind home. Popular building "West One" is flanked by 2 parks, has 24 hr. concierge, large pool & fitness centre!